What Came First celebrates its twelfth release with a special birthday EP from Techno legend The Advent with a remix from Egbert. Opening with “Valiant Keys” its vocal phrase loops short sections to build tension until it opens up with tender bursts of clarity. Layered over a pounding kick drum with rattling synths and eruptions of white noise, the rolling groove of this hands in the air slice of Techno is perfect for the dancefloor. Track two “Exchange” starts with the flicker of mechanical hi-hats and stabbing synths that blended with the twisted melody, fuse to form a groove that’s packed with forward momentum. Growing with intensity as the track develops, each bass drop is bigger than the one before, as it swells with thrilling suspense. 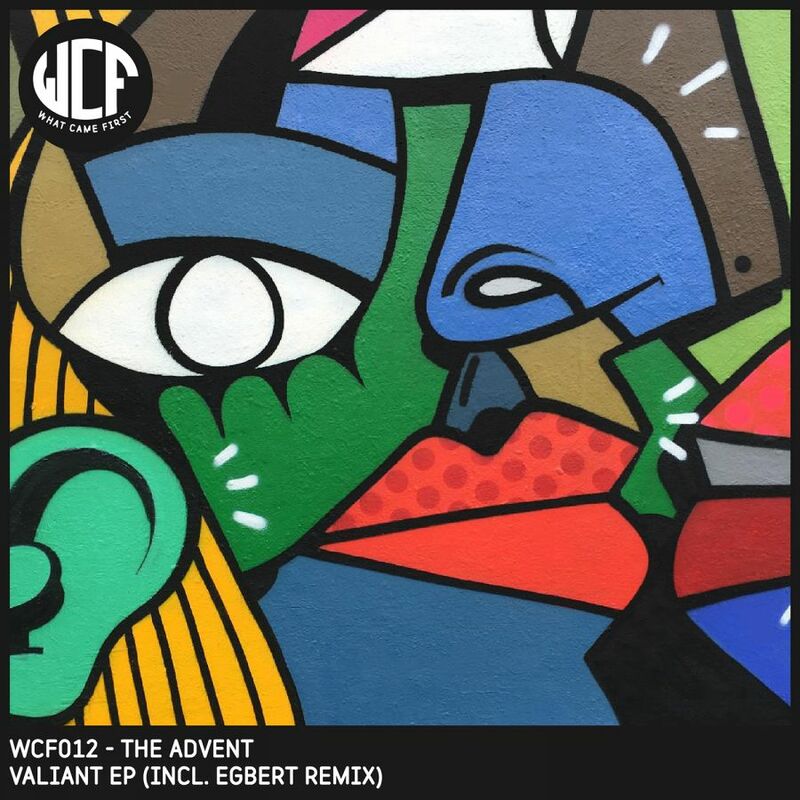 The third track on the release is Egbert’s remix of “Valiant Keys” which is fast and furious, lead forward by a thumping kick drum. Allowing the original's vocal to be the main focus, Egbert adds his own sinister lead synth and uplifting pads that combine to make an eerie atmosphere full of gripping anticipation.